Tulamben, Bali, Indonesia. 22-24 October, 2018. 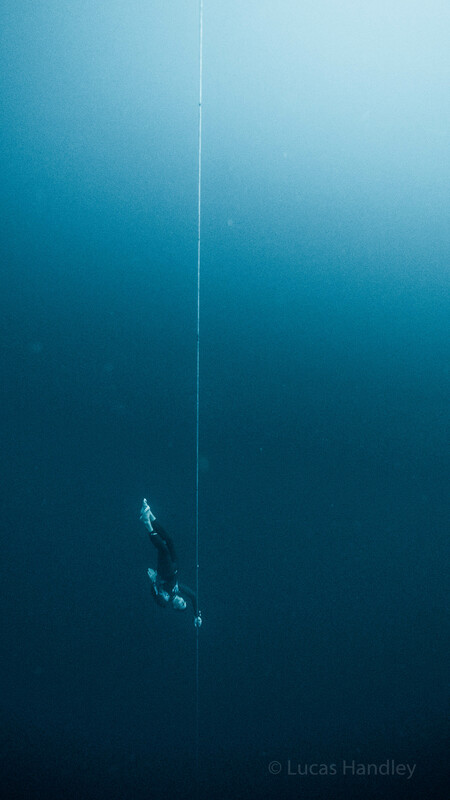 The Australian Freediving Association is very happy to announce that the depth national championships will once again return to Tulamben, Bali. We are very pleased to once again be partnering with Apnea Bali. There will be three days of competition (22-24 October) with the 25th of October being held in reserve in case of poor conditions. Athletes will be required to attend a pre-competition briefing on the afternoon of the 21st of October. Thanks to our generous sponsors, we are able to provide some great freediving gears as prizes to the athletes who had a podium finish. Lucky draw for all-white-cards – We have some prizes including a SSI Backpack, a Mares freediving mask, two Mares nose clips, and a SeaGods discount voucher for some lucky athletes who achieved three white cards in the competition. Lucky draw for safety divers and volunteers – We honour all the safety divers and other volunteers whose dedication and hard work make this competition possible. Thanks to our sponsors we can provide prizes including two Mares freediving masks, a Mares nose clip, a SeaGods discount voucher, and a Octopus equalisation tool to some lucky volunteers. The competition will be an AFA sanctioned competition, registered with AIDA International, and run under AIDA rules. There will be three competition days. Overall standings will be determined by adding points from each discipline (points will be allocated as per the AIDA rules, which is 1 point per metre of depth, less any penalties). The Australian women’s and men’s champions will be the Australian female and Australian male athletes, respectively, with the most number of points. Athletes may choose to do any depth discipline on any day, and therefore may choose to do one discipline more than once, however, only the best result in a given discipline will count towards the athlete’s overall points tally. The number of athletes is limited to 20. All athletes must have AFA membership. Registration for current AFA members will open on the 16th of June till the 30th of June. You must be an AFA member as of the 15th June to be eligible to register during these two weeks. Current AFA members can also register after 30 June. The competition fee is AU$450. Full payment is required to confirm your place in the competition. Withdrawal before the competition will result in forfeiture of 90% of the competition fee. We have filled all the spots for this competition now. 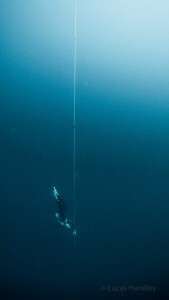 Please contact info@australianfreediving.org if you are interested in being listed in the waiting list. Drinks at the closing ceremony on 24 October (or 25 October, if there are delays due to conditions). The competition is open to athletes who are 18 years and older. Athletes who are 16 or 17 years old may compete with parental consent (please contact the AFA before registering). Athletes under 16 may not compete. The AFA will be following the AIDA guidelines for the limitation of announcements (see rule 4.6.1 of the AIDA competition rules). At the athlete briefing on the 21st of October, athletes will be required to certify their maximum depth in competition or training for each discipline in the prior three months. Athletes will be limited to announcements that are within 10m of these depths. In the instance that an athlete has not done a performance in a discipline in the preceding three months, the announcement will be limited to 50% of the athlete’s maximum performance in the AIDA ranking database. A signed “medical certificate of non contraindication to freediving” written in English (see rule 3.1.8). The certificate must be signed and dated by a medical doctor. It may not be older than one year, and an athlete may not sign their own certificate. Furthermore, the contact details of the doctor must be present on the form. The standard AIDA medical form may be downloaded here. The old AIDA medical form may be downloaded here. Passport (or national identity card) of the nationality the athlete is competing as. Each athlete will be required to certify their maximum depth in each discipline that they have done in training or competition in the preceding three months (see above section on limitation of announcements). Athletes must bring their lanyards to the pre-competition briefing on the 21st of October for inspection and testing by the judges. Athletes must use an AIDA compliant lanyard in all competition dives (including warm up dives) and pre-competition training. Athletes must obtain their own medical and evacuation insurance. 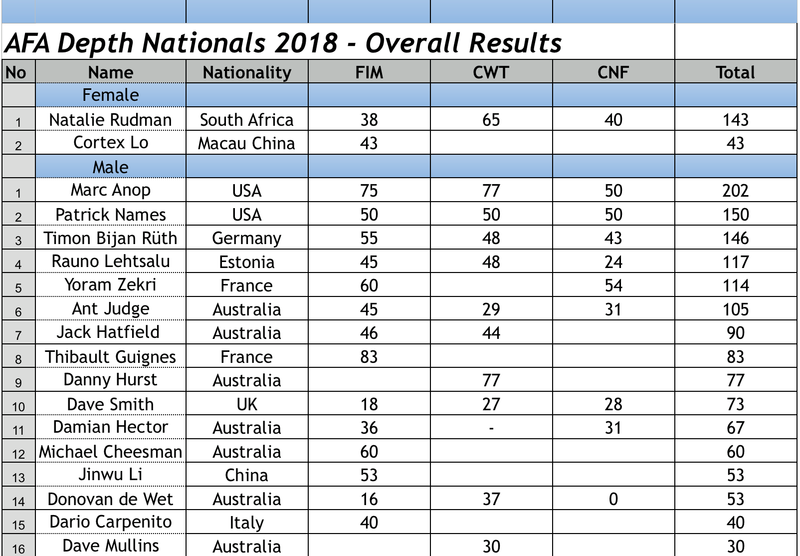 There will be no official competition hotel for this year’s AFA Depth Nationals. We will not be using Puri Madha hotel as a check-in and competition boat arrival/departure point any more. We will set up an athlete check-in point and medic’s station on the beach in front of Apnea Bali. All the competition boats will also depart from this beach to the competition platform. Apnea Bali will be offering opportunities for pre-competition training and coaching to all athletes. All arrangements for pre-competition training should be made directly with Apnea Bali.